IKEA furniture is already very modern and modular, right out of the box. But with a little do-it-yourself elbow grease, you can transform those already incredible pieces into out of this world pieces that your kid's will adore. Just by adding some color with paint or by adding on to the furniture, like the tree house like addition to the bunk bed you can accomplish this. 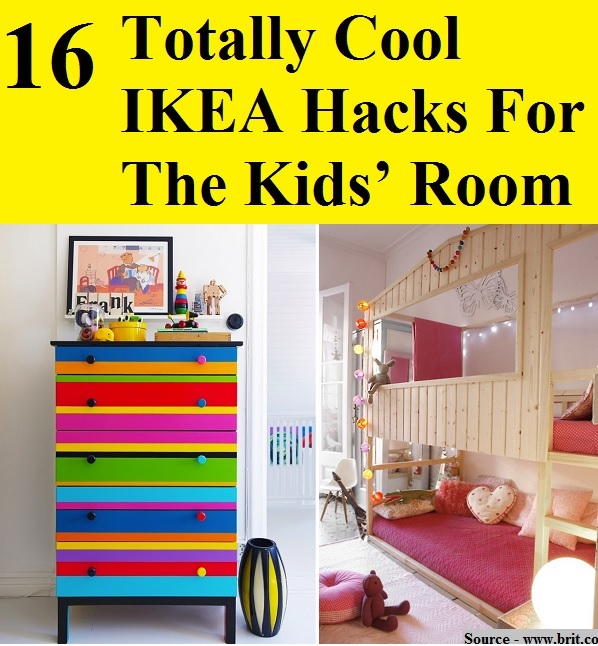 Thanks to brit.co for compiling these unbelievably cool IKEA hacks for your children's rooms. Follow the link below to learn more.